FORMER US President Bill Clinton will speak in Belfast later today to mark the 20th anniversary of the Good Friday Agreement. The historic agreement, which was signed on April 10, 1998, was reached after several years of talks between political parties and almost 30 years of violence. A number of key players involved in the deal including ex-prime ministers Tony Blair and Bertie Ahern and former US Senator George Mitchell will also be among the guests. A special conference entitled ‘Building Peace: 20 Years on from the Good Friday Agreement’ will be held at Queen’s University Belfast. Professor James McElnay, the university’s acting vice-chancellor, said: “We are honoured and delighted to welcome President Clinton to Queen’s University to mark the 20th anniversary of the Belfast/Good Friday Agreement. “His role and influence on the peace process in Northern Ireland was pivotal to ensuring all parties reached agreement in April 1998. Mr Clinton and Mr Mitchell will later receive freedom of Belfast awards at a special ceremony at the Ulster Hall. Sinn Féin Leader Mary Lou McDonald, who will also be in Belfast for today’s anniversary, has called for all parties and the two governments to recommit themselves to the fundamental principles of the Good Friday Agreement of consent, equality, rights and genuine powersharing. “The Good Friday Agreement remains a triumph of the politics of hope over despair,” she said. “Those involved from the parties and the governments demonstrated the power of leadership and a commitment to building a better future for all our people. “They deserve not only our recognition and acknowledgement but our sincere thanks. 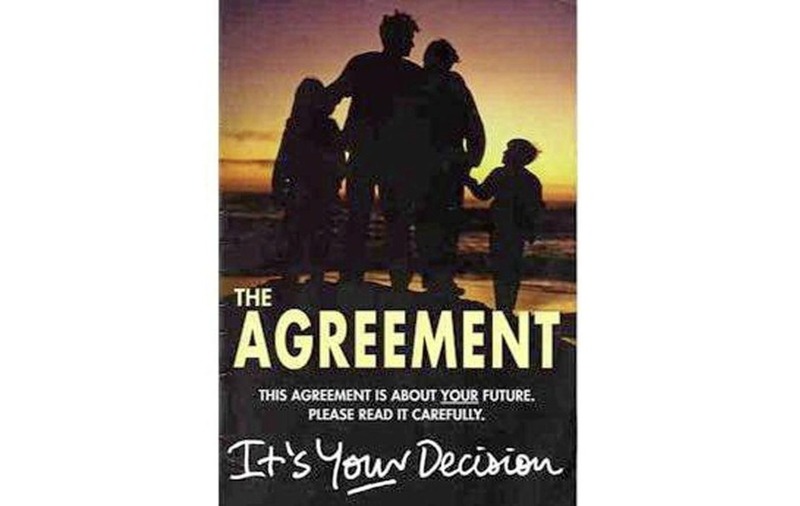 “The Good Friday Agreement is as relevant today as it was twenty years ago. It is a process to manage change and to respect difference. “All parties, and both governments, should use this opportunity to recommit to the Agreement and its fundamental principles of consent, equality, rights and genuine powersharing. “The application of these fundamental principles would resolve the issues blocking the re-establishment of the institutions and to meeting the challenges of reconciliation, healing the past and dealing with Brexit.